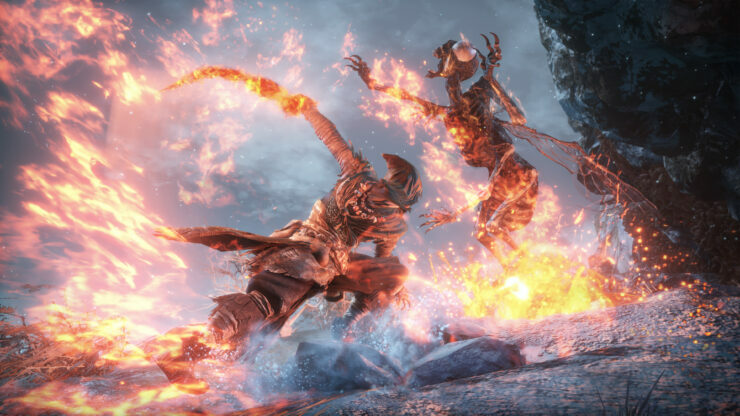 Next week, Bandai Namco is going to show more of the Dark Souls 3 The Ringed City content, but fans of the action role-playing game by From Software won’t have to wait until March 15th to see more of the new weapons, enemies, and locations. A few hours ago, some new Dark Souls 3 The Ringed City footage emerged online, showcasing the Aquamarine Dagger Trick Weapon, a new boss, and a new location. You can check out the new footage right below. Earlier this week, more Dark Souls 3 The Ringed City screenshots have been shared online, showcasing new characters, locations and enemies. Judging from some of them, The Ringed City promises to bring plenty of new challenges that veterans of the series will certainly enjoy. At the close of the Age of Fire, as the world ends and all lands converge upon themselves, a lone adventurer descends into the madness of the earth and uncovers the secrets of the past. The Ringed City, Dark Souls 3’s second and final DLC, will be released on March 28th, 2017! Dark Souls 3 is now available in all regions on PC and consoles. The Ringed City DLC launches on March 28th in all regions.